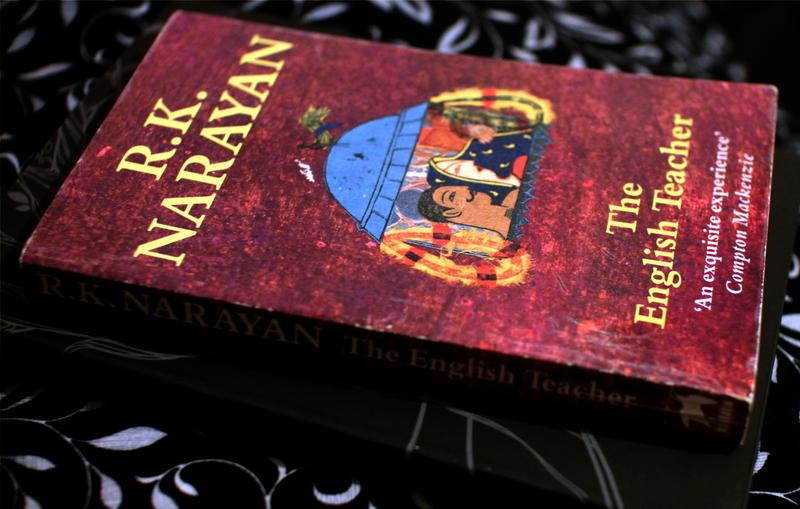 “The English Teacher” is the third novel in an autobiographical trilogy by the 20th century Indian writer R. K. Narayan. As the previous books “Swami and Friends” and “The Bachelor of Arts” this book follows Krishnaswami’s life. Now he is working at a college as an English lecturer, is married to the beautiful Susila and has a daughter by the name of Leela. As the story starts we find out more about Krishna’s work and his opinions about teaching literature. But then the story continues with his in-laws wanting him to finally live together with his wife and child. First they rent a house and then they’re planning to buy a house, but unfortunately they never get that far, as Susila falls ill. In order not to give any spoilers I can’t really say much more about what happens next. This book is somewhat different from the other books by Narayan that I’ve read, as it delves into some-kind of mysticism, that is a little reminiscent of 19th century English writers like the Bronte sisters. The novel’s tone becomes dark and sad. I enjoyed the first part of the trilogy more than the two later ones. However I liked how in the end of the book Narayan resigns from his work and says things that reminded me of J. D. Salinger as Krishnaswami want’s to start teaching children instead of being a part of the college in which, as he sees it, they don’t teach the students to think for themselves but rather produce simple civil servants. This entry was posted in Fiction, Indian literature and tagged book review, books, Indian literature, R. K. Narayan, The English Teacher. Bookmark the permalink.